Aero India is India’s largest aerospace exhibition. The biannual event, organized by India’s Ministry of Defence, is now in its 10th year. 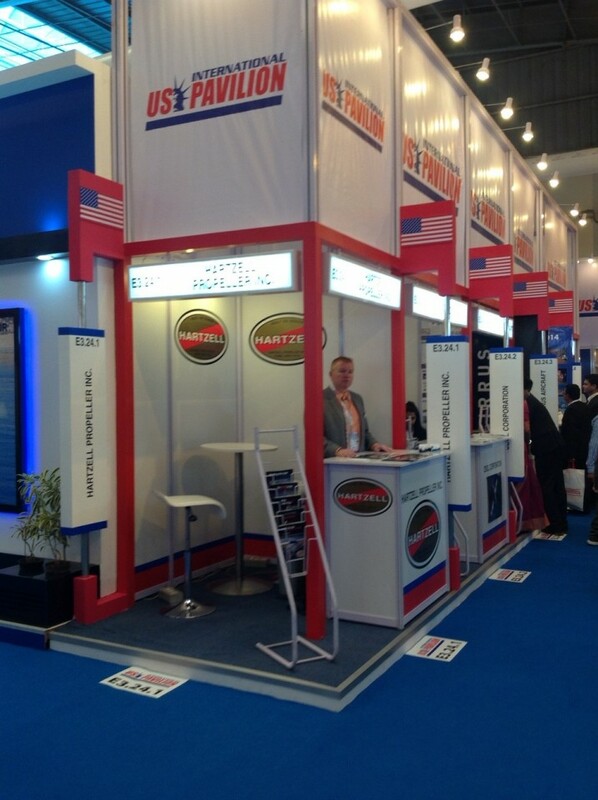 We are proud to announce that Hartzell is on location at Aero India for the first time ever. Here are five things that should not be missed at this massive aviation showcase. Hatzell is the world’s leading supplier of airplane propeller technology, so our our products have been a staple of the exhibition and air show since its inception. This year, however, our team of aviation experts is on the show floor to talk shop and discuss hi-tech props with aviators from around the world. Aero India is a major business venture for the Indian government, which is one of the world’s largest importers of defense technology. PM Modi’s address focused on working with foreign and domestic firms to establish an aviation manufacturing industry within India that can alter the country’s dependence on foreign aviation hardware. Hartzell has been a leader in aviation manufacturing within the US for nearly 100 years, so we have witnessed the growth of a domestic aerospace industry first hand. It will be exciting to see what the future holds for Modi’s “Make in India” initiative. One of our collaborators in making the Red Bull Air Races a world-class event, Breitling is a brand synonymous with precision aviation. The cockpit chronographs they developed in the 1930s and 40s became the gold standard in aviation timekeeping. Today, Breitling keeps that historical tradition alive by supporting adventurous aviators around the world. Their wingwalking team is famous for making death-defying feats look easy. Like the Sarang team, they will be performing daily at Aero India. Over 600 companies from across the globe are participating in Aero India 2015. They will be showcasing the best in aviation technology. Discussing innovative manufacturing opportunities and (potentially) planting the first seeds of India’s domestic aviation industry. If the event is a success, this year’s Aero India could be a historic moment for aviation in India.